Application of engineering machinery boring machine_News_Xinxiang Lantu Machinery Co., Ltd. 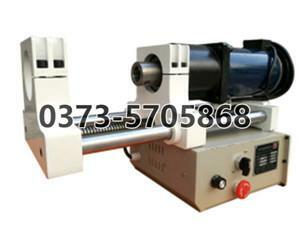 The engineering machinery boring machine is mainly for the on-site maintenance of engineering machinery. It can only blame the on-site processing equipment. It is mainly used for the processing and repair of small and medium-sized pipes and shaft holes. It is an indispensable tool in the engineering machinery maintenance industry. It is widely used in the processing and repair of excavators, cranes, loaders and large marine cranes. The engineering machinery boring machine is a new type of boring machine developed in combination with the needs of the market. The whole machine adopts aluminum alloy frame, which is light in weight. The main rotation and feed are driven by two motors respectively, which can realize inorganic Speed ​​regulation, superior performance and good stability. The design is completely from the on-site maintenance, the operation of the whole machine can be completed by one person, greatly improving the efficiency, the weight of the main machine is 40KG, convenient and light, and it is a good assistant for your scene. Since the product was promoted to the market, more and more people have been praised by the majority of users, creating considerable profits for customers. The engineering machinery boring machine is superior in performance of similar products in China, and the cost performance is extremely high. We hope that our customers will come to negotiate. Shaft hole, rotary hole, main arm connection hole, ring hole processing and repair after welding on various construction machinery. Concentric holes on construction machines such as presses, loaders, cranes, etc., multi-row holes for processing and repair, one-position installation, can ensure the concentricity of multiple holes.